This photo shows what a seaweed community looks like after introduction of invasive seaweed. DURHAM, N.H. – Walking along the beaches of New England, it is easy to spot large amounts of a fine red seaweed clogging the coastline, the result of sweeping changes in the marine environment occurring beneath the water. 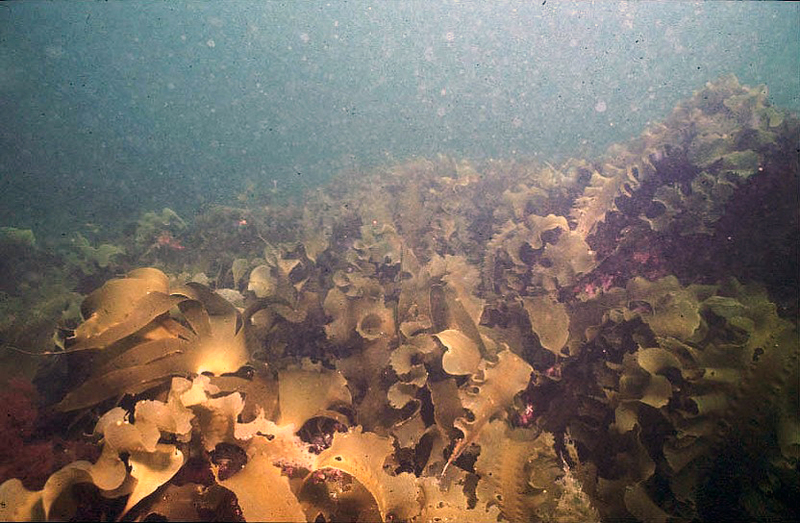 To further investigate, researchers at the University of New Hampshire looked at seaweed populations over the last 30 years in the Southwestern Gulf of Maine and found the once predominant and towering kelp seaweed beds are declining and more invasive, shrub-like species have taken their place, altering the look of the ocean floor and the base of the marine food chain. In the study, recently published in the Journal of Ecology, researchers compared photos of sections of the sea floor, collected over 30 years, at several subtidal sites in the Southwestern Gulf of Maine. They also collected individual seaweed species to determine their complexity and the biodiversity of meso-invertebrates (smaller ocean species that fish and shellfish, such as crabs, feed on) associated with each seaweed species. The data showed that the seaweed community, as well as the number and types of small creatures, had significantly changed. 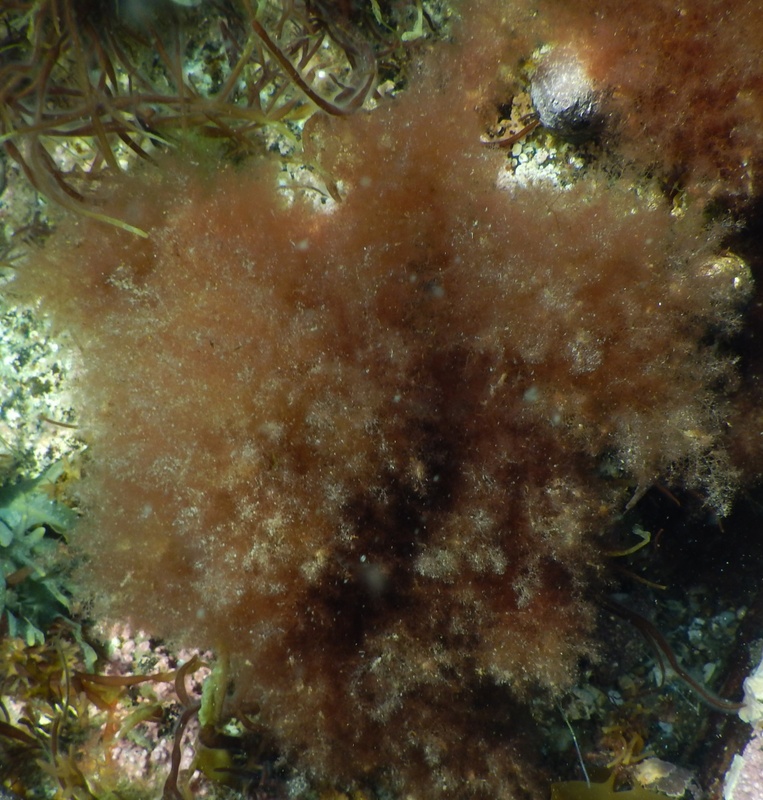 The invasive fiber-like red seaweeds (Dasysiphonia japonica ) had covered up to 90 percent of some areas, altering the visual landscape, and the newly created habitat structure now supported two to three times more small creatures at the base of the food chain. Studies have found that kelp forests are one of the most productive systems in the ocean with high biodiversity and ecological function. They occur along the coastlines of most continents. Kelp provides a long three dimensional structure that offers protection and a source of food for many juvenile species of fish (pollock, cod, and flounder), juvenile and adult shellfish (lobsters and crabs), seals and birds (terns and gulls). “While the changing seascape has dramatically altered and increased the diversity and number of small creatures at the base of the marine food web, we still don’t know how these changes in the ecosystem will propagate through the entire chain. Even though there may be more creatures at the base, it’s not clear what their effects will be on fish or other crabs in the habitat, and how much protection the new landscape will provide,” said Dijkstra. Researchers say on-going studies are looking at the effects of the invasive types of seaweed and why they are so successful in the Gulf of Maine. 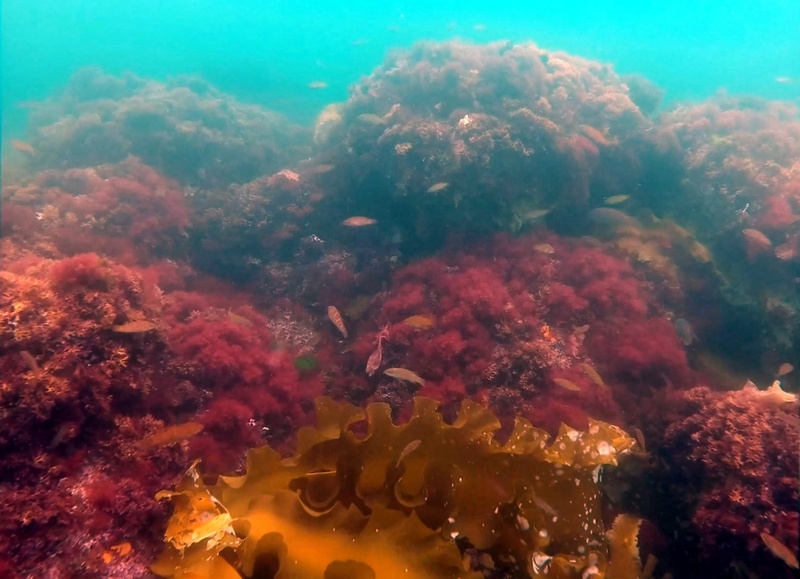 They speculate that a number of events that relate to historical fishing practices, both commercial and recreational, combined with the warming waters in the Gulf of Maine may be increasing the negative effects of the growth of kelp. Co-authors on this study, all from UNH, are Larry Harris, professor of zoology; Kristen Mello ‘14, research technician; Amber Litterer ‘16, Shoals Marine Laboratory; Christopher Wells, former research technician currently at the University of Washington; and Colin Ware, director of the Data Visualization Lab at the Center for Coastal and Ocean Mapping. This project was supported by the Rutman Foundation through the Shoals Marine Laboratory, the School of Marine Sciences and Ocean Engineering and NOAA (NA14NOS4830001). Image of one species of invasive seaweed, Dasysiphonia japonica. Photo of historical kelp forest bed (before introduction of invasive seaweed).